The HP Pavilion g6 2200 series brings Windows 8 to the popular Pavilion g6 family. 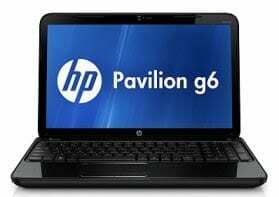 The HP Pavilion g6-2205 comes with Microsoft Windows 8 (64 bit) pre-installed and runs an Intel Core i5 processor. The HP Pavilion g6-2205 is now available in Nigeria and you can buy it or other members of the series online at Jumia or Konga. 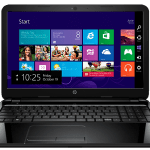 Unlike the cheaper HP Pavilion g6-2215 which features a 2.5GHz dual-core AMD A4 processor with 6GB RAM, the HP Pavilion g6-2205 is powered by a 2.5GHz dual-core Intel Core i5 processor with 8GB RAM included. So, if you want an ‘Intel Inside‘ laptop, the Pavilion g6-2205 is your obvious choice. The laptop offers 750GB HDD. The HP Pavilion g6-2205 features a 15.6-inch HD (1366 x 768 pixels) BrightView LED backlit display with HP Truevision HD Webcam and mic. It is 36.3mm thick and weighs 2.5kg. You also get USB 3.0, HDMI, Wi-Fi, multi-format digital media card reader. 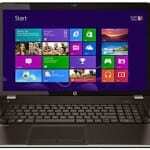 HP Pavilion g6-2205 is now available at Jumia Nigeria at a price of around N120,000.